Philippine National Bank (PSE: PNB) reaches out to communities through initiatives that support financial literacy, social entrepreneurship, and environmental protection. Recently, the bank successfully rolled out CSR projects in partnership with local government units (LGUs), non-government organizations (NGOs), and its own employees. This feature highlights a few of PNB’s key initiatives for 2018. 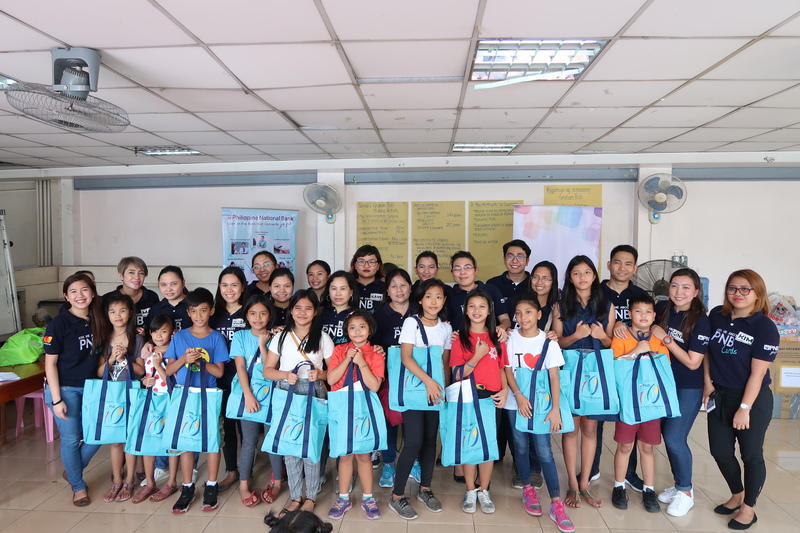 One of the bank’s most recent activities was a Kiddie Business Camp for the children beneficiaries of the Our Lady of Sorrows Outreach Foundation, Inc. (OLSOFI) in Pasay City. The event was held last December, at the same time as the foundation’s Christmas party. PNB employees volunteered as “camp teachers” and helped the young learners gain basic knowledge on entrepreneurship, wise spending, and money management. The participants were taught how to make and sell simple entrepreneurial products. The kids also received business starter kits and gift bags with school supplies while the kids enjoy games, music and prizes. Activities such as this kiddie business camp is one of the ways by which the bank supports R.A. No. 10922 or the Economic and Financial Literacy Act, and House Bill No. 5446 promoting financial literacy as a tool for poverty alleviation and national development. In the last quarter of 2018, PNB, in collaboration with Philippine Airlines (another Lucio Tan company), donated over five tons of old tarpaulins and brochures to Caritas Manila, a leading social service and development ministry. The items were upcycled into functional items such as wallets, tote bags, bag tags, and shoe bags by the women of Caritas Manila’s partner communities in Metro Manila. Proceeds from the sale provide income to the women of marginalized partner families and communities, and support the Youth Servant Leaders (YSLEP) scholars of Caritas Manila. Through this upcycling effort, the bank is able to help provide livelihood, scholarship, promote proper waste management, and protect the environment. 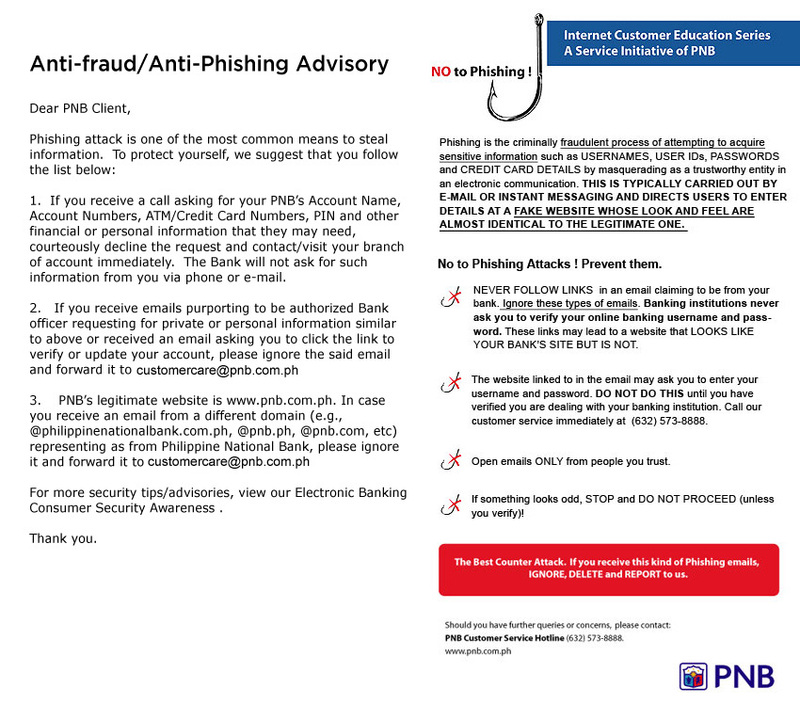 Still on the environment, PNB heeded another call to help save Mother Earth. The bank participated in the International Coastal Cleanup organized by the Department of Environment and Natural Resources along SM by the Bay in Pasay City last September. PNB’s participation in the cleanup was in response to an invitation by SM Supermalls. Over 70 PNB employee volunteers gathered on a weekend for this activity. They worked in pairs to collect trash and record the collection. A total of 65 double extra-large garbage bags filled with various marine garbage were collected, which included plastic items, decaying plants, and even pieces of drift woods and bamboos from the breakwater area. The bank hopes to take part in more related initiatives, in partnership with other private organizations. The Philippines is hit by typhoons approximately 19 times a year, not to mention the frequent monsoon rains. The year 2018 experienced inclement weather several times, which caused floods, damaged properties, destroyed livelihood, and, in some instances, claimed lives. In the aftermath of every calamity, large corporations normally become busy distributing relief goods and extending disaster response. After typhoon “Carding” and a couple of strong monsoon rains, PNB mounted relief operations in Central Luzon, particularly in Barangay Camalig, Meycauayan, Bulacan. A simple donation activity was held in August at the Camalig Elementary School where more than 300 families affected by the calamity received relief packages containing loaves of bread, canned goods, and noodles. As 2018 came to a close, a similar outreach activity was initiated by the bank in partnership with the Korean Chamber of Commerce Philippines in Malate, Manila where around 300 families from Malate, Manila received food gift packs. PNB showcased its CSR projects in its 2018 Christmas ID, with the hashtag #SpreadtheLoveThatConnectsYouFirst. Posted on the bank’s various social media accounts, the video brought across the message that one of the best ways to spread love and joy is through serving communities. As PNB approaches its 103rd anniversary, it aims to make a lasting difference beyond business.